Care should be taken with the use of strobes and a warning given before their use due to the possiable presence of people suffering with epilepsy. Strobes should NOT be used continuously! Sparkle strobes are small 1-3 watt strobes which flash randomly, when used in groups they produce a very interesting effect which is forever changing. 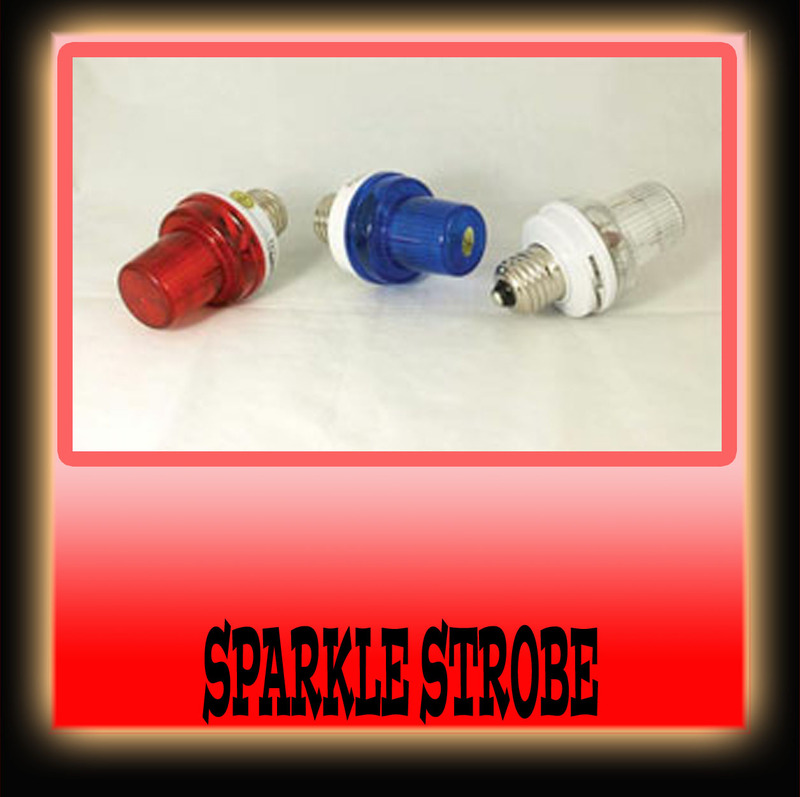 The strobes are supplied fitted into a white lampholder base, they are available in various colours. 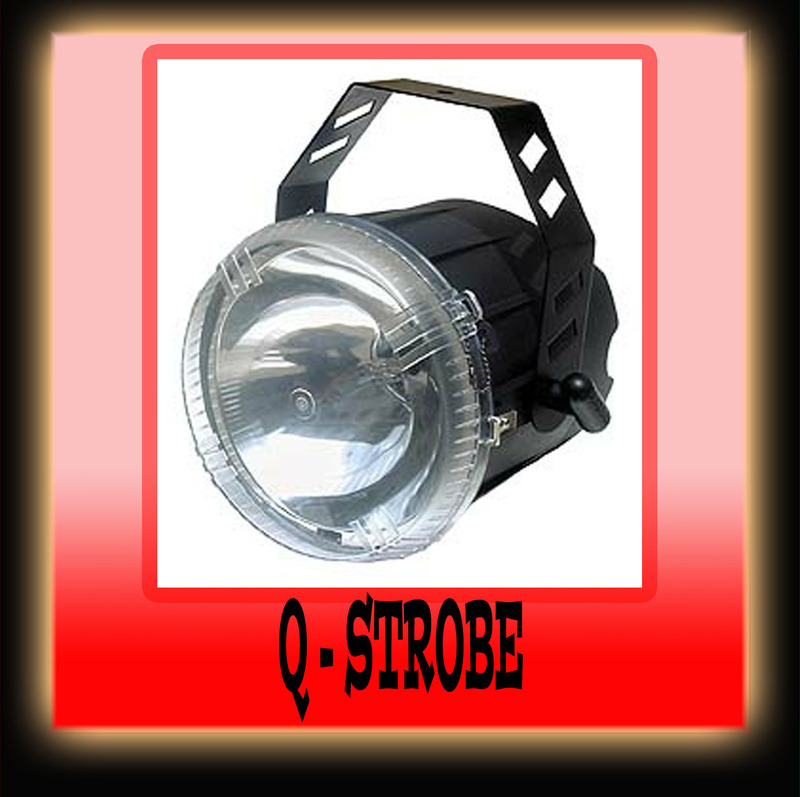 A compact 14 watt strobe with adjustable speed control. 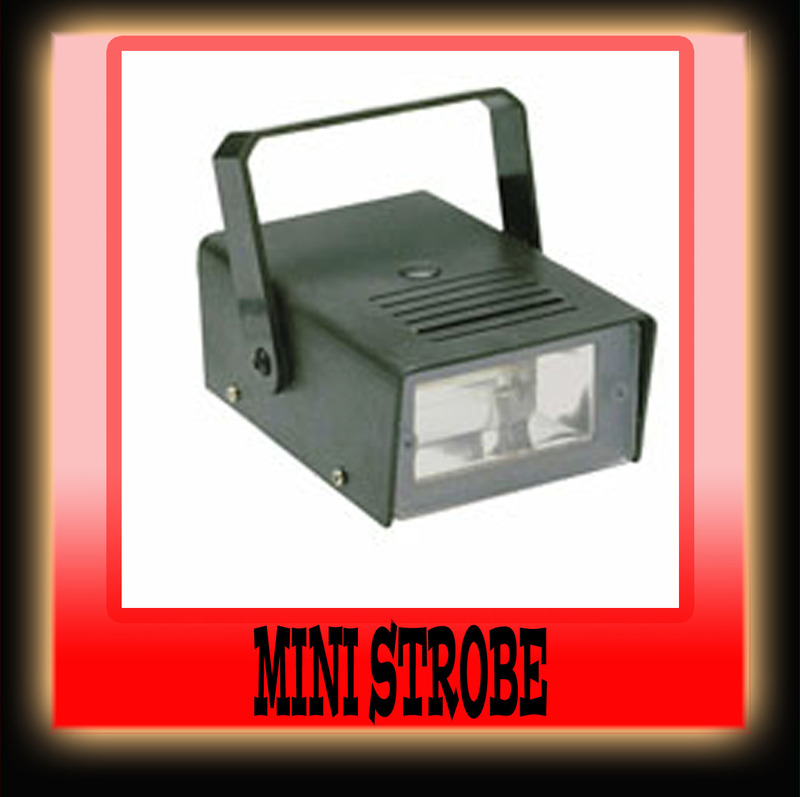 A light weight 75/80 watt strobe with adjustable speed control & connection for use with analogue strobe controllers. 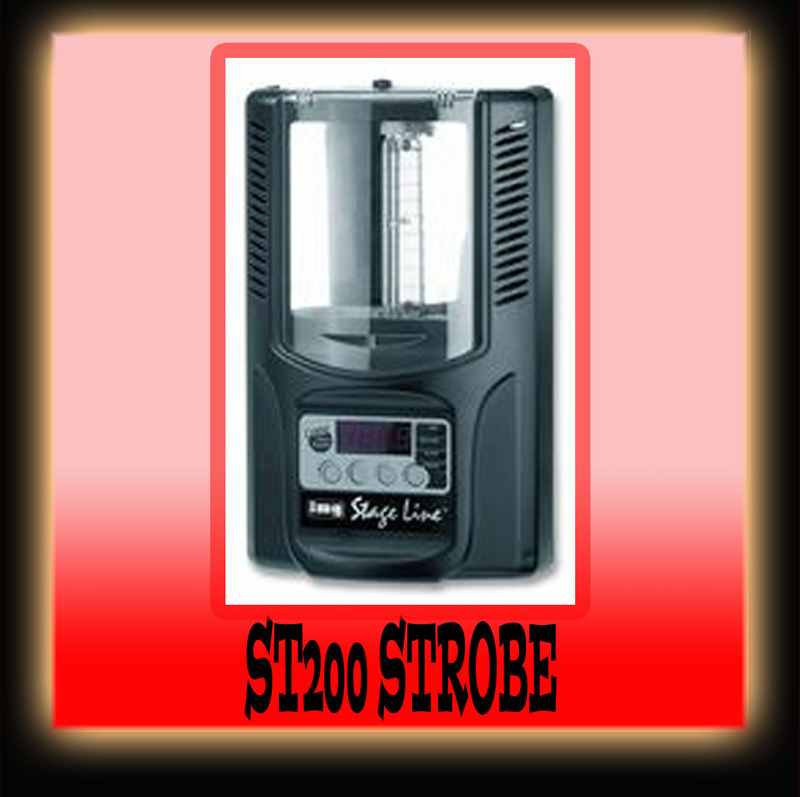 A light weight 200 watt strobe with adjustable dimmer & speed control & connection for use with analogue strobe controllers. 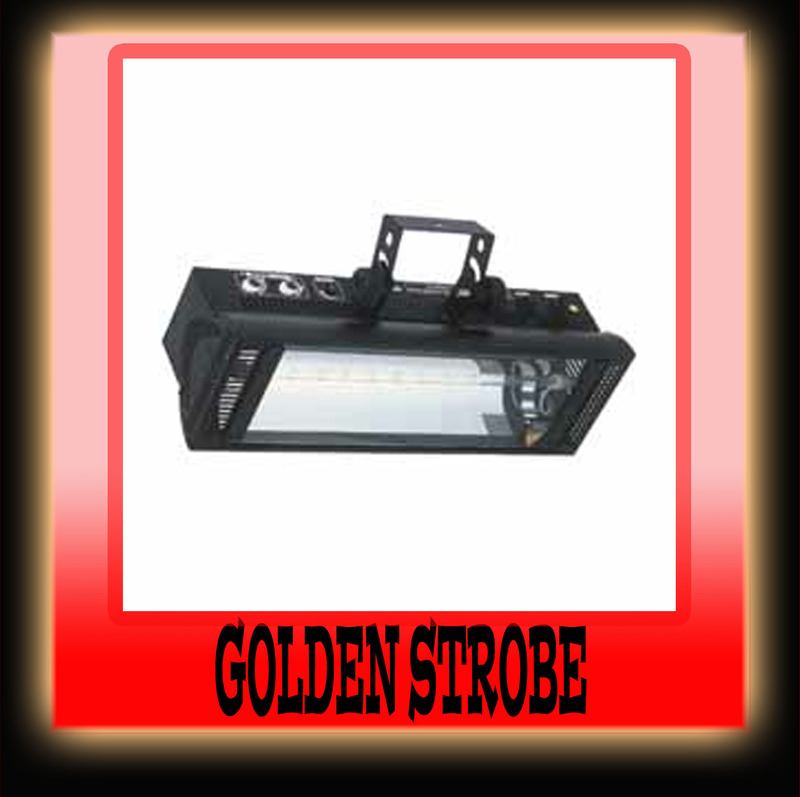 A medium 750 watt strobe with DMX dimmer & speed control, the strobe can also be set to flash to the beat of the music. 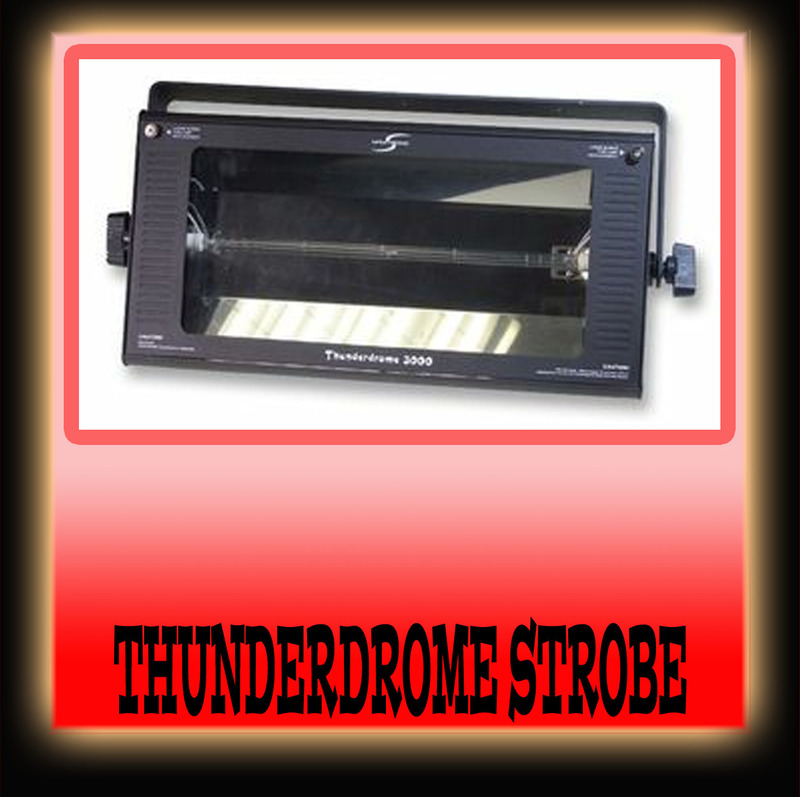 A powerful 1500 watt strobe with adjustable speed control & connection for use with analogue strobe controllers. 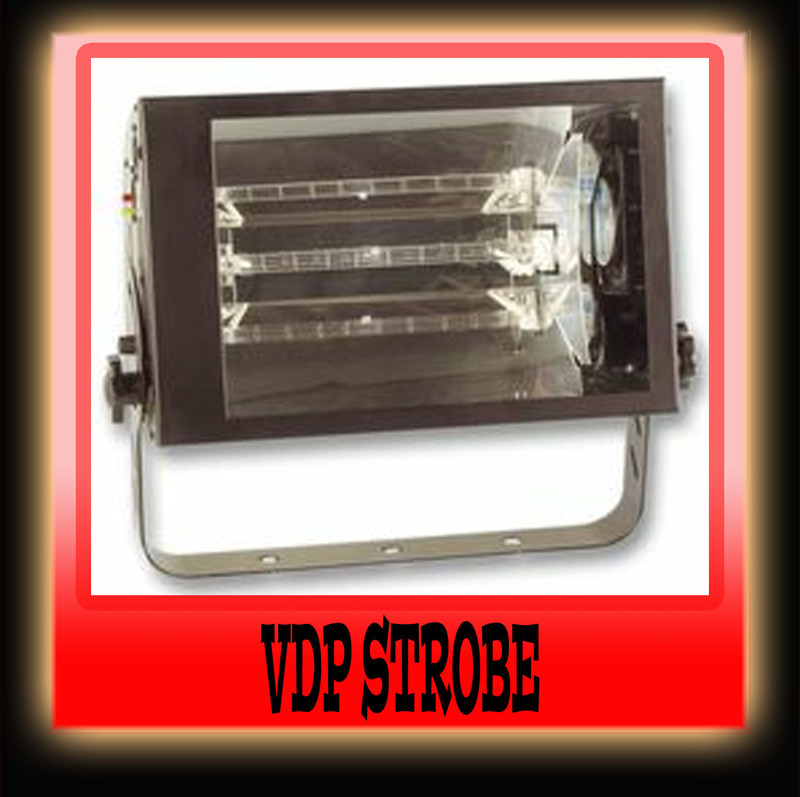 A massive 3000 watt strobe with adjustable dimmer & speed built into the unit plus DMX control of the dimmer & speed. 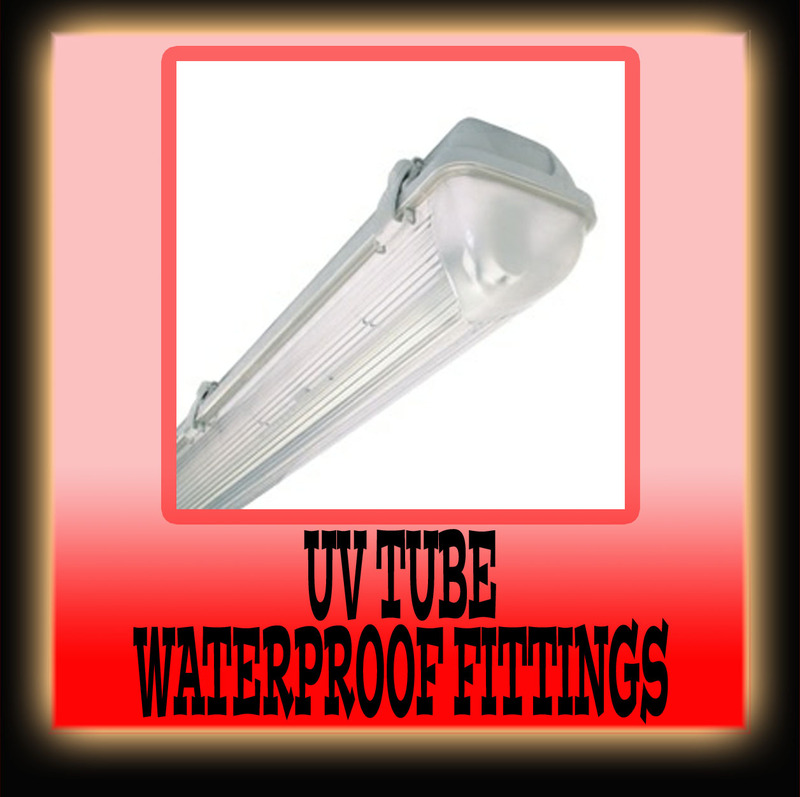 A heavy duty fitting fitted with an 18 watt - 2FT or 36 watt - 4FT Ultra Violet tube, the fitting features a polished reflector & strong front grill to protect the tube from damage. 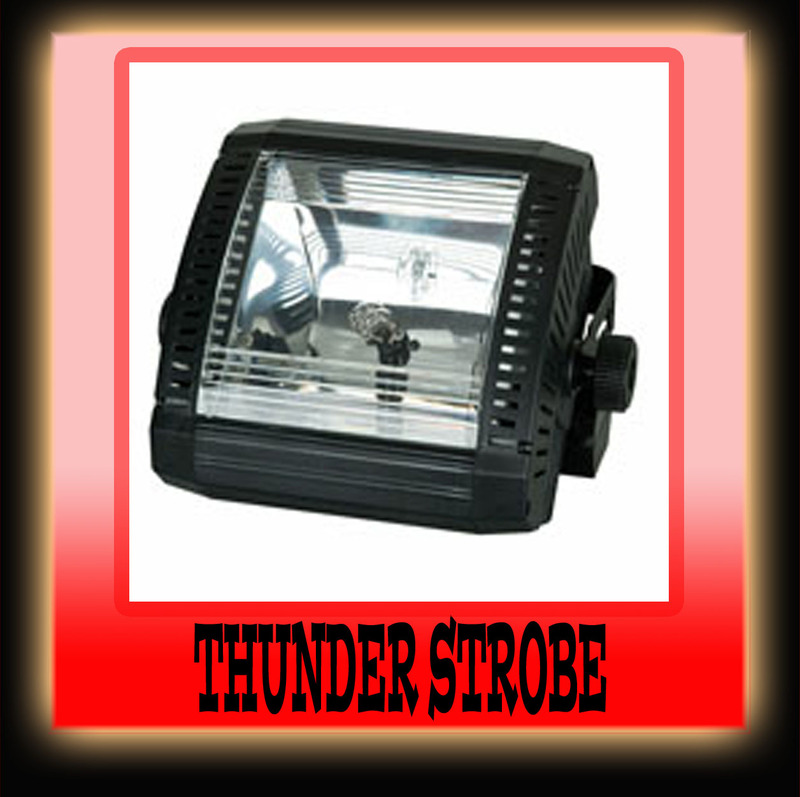 A waterproof fitting fitted with an 18 watt - 2FT or 36 watt - 4FT Ultra Violet tube, the fitting features a strong fibre glass body & plastic front cover, fitted with a 16 amp waterproof plug. 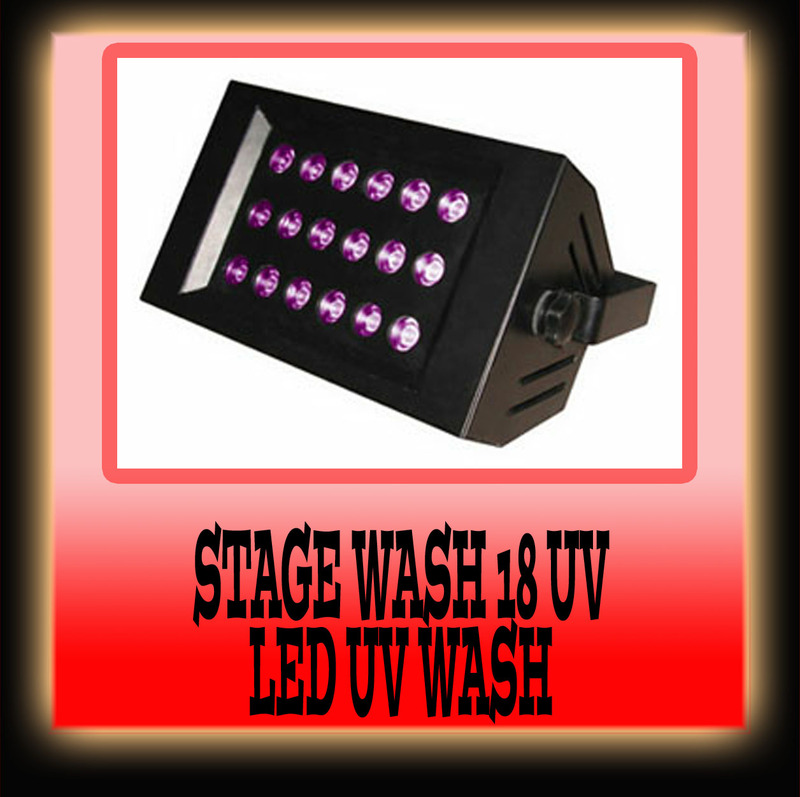 The Stage Wash UV. is ideal for entertainment venues that want the ultra-violet blacklight look, but require a light weight compact unit that produces no head & consumes very little power. 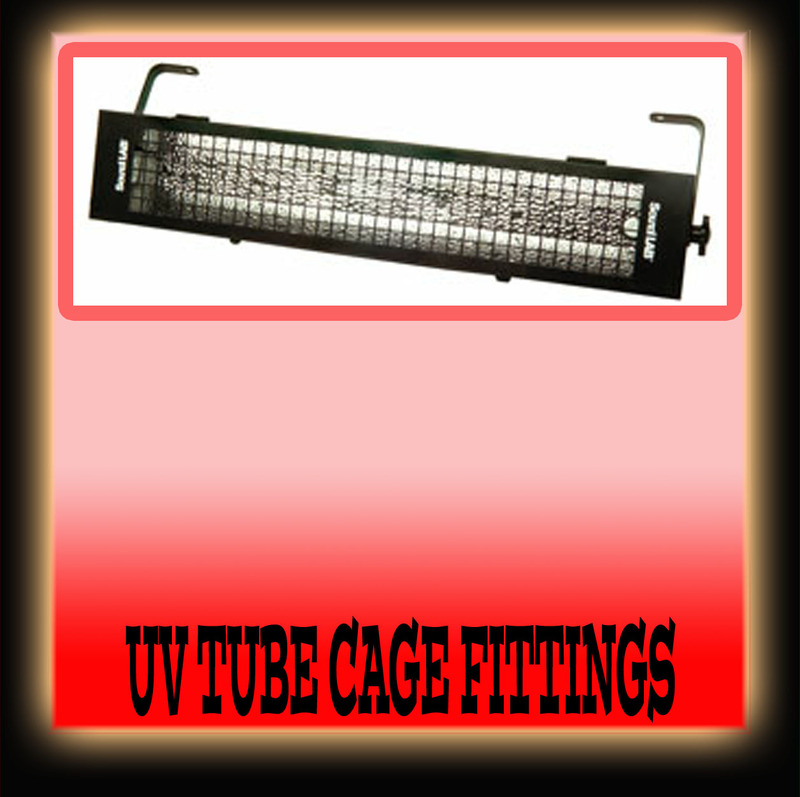 The unit contains 18 powerful 1Watt ultra-violet LED's with a massive lamp life & a wide 40 degree beam angle. The unit can be controlled by DMX where you can control the intensity of the LED's plus a strobe function or the unit can be set to sound to light. 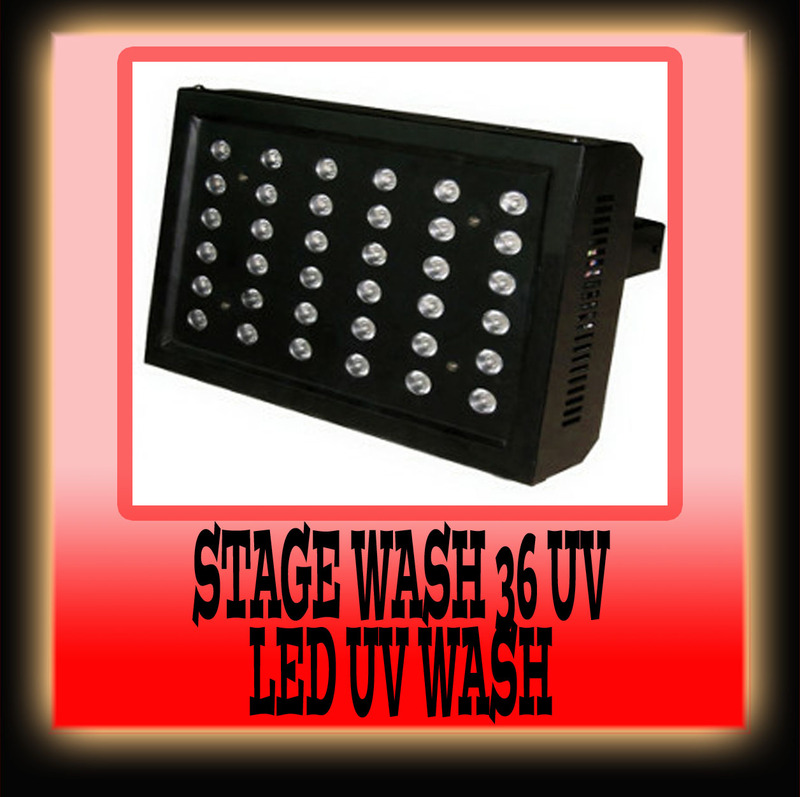 The Stage Wash UV. is ideal for entertainment venues that want the ultra-violet blacklight look, but require a light weight compact unit that produces no head & consumes very little power. 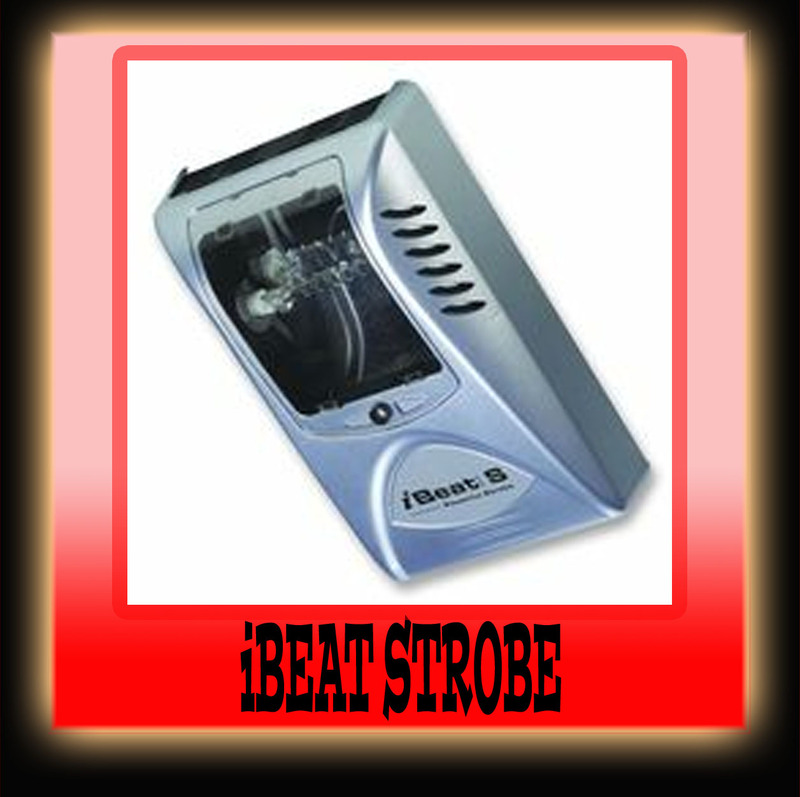 The unit contains 36 powerful 1Watt ultra-violet LED's with a massive lamp life & a wide 40 degree beam angle. The unit can be controlled by DMX where you can control the intensity of the LED's plus a strobe function or the unit can be set to sound to light. 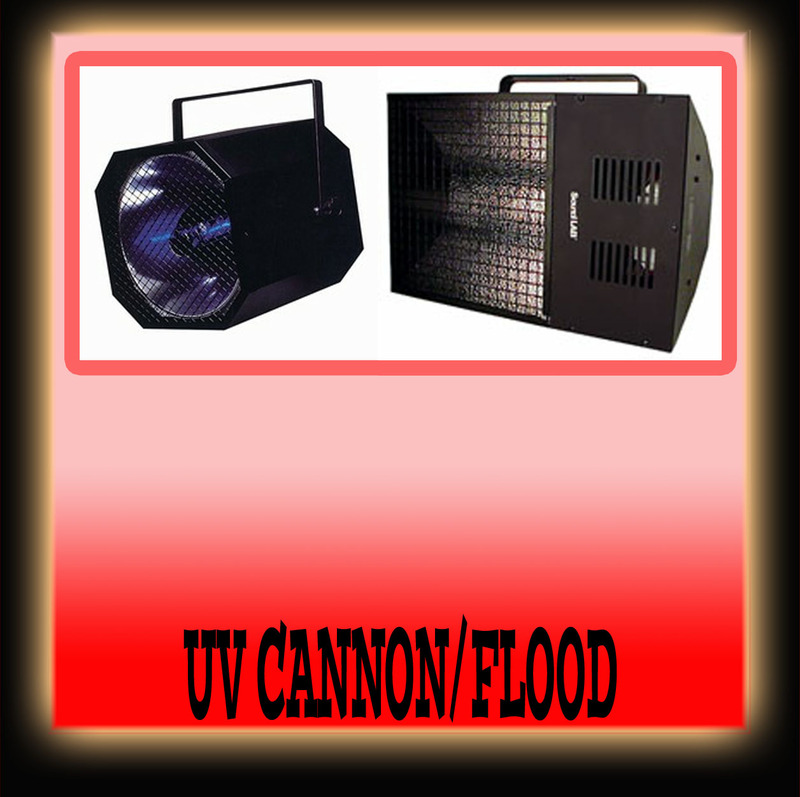 These are heavy duty strong units fitted with powerful 400 watt Ultra Violet lamps, the UV cannon features a parabolic reflector which spreads the UV light over a long distance. please visit the sales section of the site for more info.